Incentive payments are determined by how well hospitals score on two point-based domains. One domain takes into account the clinical process of care, where the hospital is judged on its performance in meeting twelve predefined clinical measures. The second domain is based upon the overall patient experience and measured through a survey called the Hospital Consumer Assessment of Healthcare Providers and Systems (HCAHPS). HCAHPS scores depend on the percentage of positive responses received for each question within each specific ”dimension,“ or category. Dimensions include communication with doctors and nurses, clarity of discharge information, overall hospital rating and more. 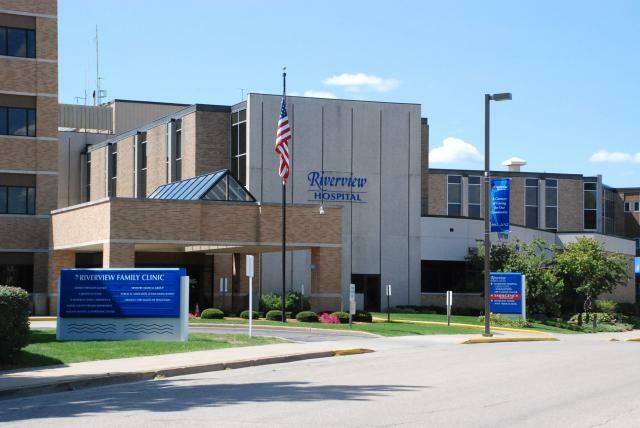 When Spranger and the Lean Six Sigma team at Riverview discovered that the hospital’s overall HCAHPS survey scores were lower than desired for the discharge information dimension, they set out to improve scores with Lean Six Sigma techniques and data analysis. The Lean Six Sigma team’s goal was to increase the percentage of “yes” responses for the following yes/no HCAHPS survey question: “During this hospital stay, did doctors, nurses, or other hospital staff talk to you about whether you would have the help you needed when you left the hospital?” To start, the team assessed their baseline performance by plotting outcomes from the previous 24 months with a Minitab control chart. The chart revealed a stable process and a current average positive monthly response rate of 85 percent. The goal was to improve positive monthly responses and exceed the preset benchmark of 91 percent. To determine underlying factors that could be causing low scores, Spranger and the team chose to analyze data the hospital already had on-hand about the patient, which was collected as part of the HCAHPS survey. They had access to the responder’s age, gender, length of stay, primary language, education level, hospital unit visited and more. With Minitab charts, histograms and plots, they were able to explore the variables and responses graphically. The team analyzed the variables further, and used the Minitab Assistant to guide their statistical analysis. 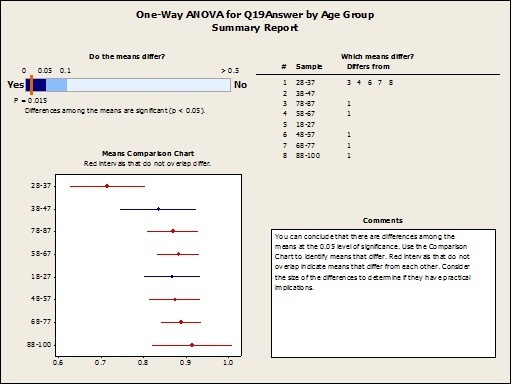 They followed interactive decision trees to determine which analysis to use, and selected Analysis of Variance (ANOVA) to compare sample means and to look for significant differences within variables that could be impacting the HCAHPS survey question. The Riverview team began this project with a preset assumption that differences in the education level or the primary language of the respondent might offer insight into the low scores, but their analyses of these variables revealed no statistical significance. However, analysis of other variables uncovered statistically significant differences within respondent age groups and the hospital unit visited. The Riverview Lean Six Sigma team was able to narrow the project scope and use the insights they gathered to improve patient satisfaction for groups identified as scoring the lowest. “Historically, health organizations try to increase patient satisfaction through staff training and other large-scale solutions,” says Spranger. “Now, with a data-driven approach, we are able to better target improvements.” The improvements for this project targeted low-scoring patient groups from specific age ranges, as well as patients who stayed in specific hospital units. The team also used the improvement effort to solve key problems identified in the current process for handling patient discharges, which included timing of education, ensuring the involvement of a family caregiver, and clarifying outcomes with the patient. They redesigned the discharge education process into three phases to address previous issues with timing, collaborated with primary care physician clinics to ensure consistency, created a process to ensure that a primary family caregiver was identified to engage in care management after discharge, and clarified terminology in discharge documentation that was considered vague. 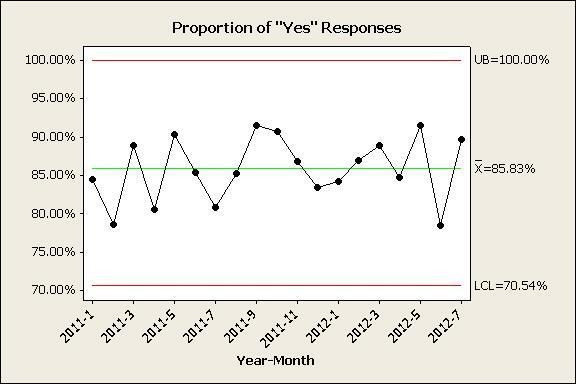 After implementing these improvement strategies, the team compared the current proportion of “yes” responses to responses before the project began. They achieved an impressive gain in the proportion of “yes” responses and met their goal to surpass the 91 percent benchmark for average positive monthly responses. How do you use quality improvement techniques in healthcare?